ESCASO ACCESO DEL ADOLESCENTE Y JOVEN A CENTROS DE INNOVACIÓN TECNOLÓGICA Y FORMACIÓN PROFESIONAL. ACCESO DE LA POBLACIÓN ADOLESCENTE Y JOVEN A CENTROS DE INNOVACIÓN TECNOLÓGICA Y FORMACIÓN PROFESIONAL. 01 INSTITUTO TECNOLÓGICO CREADO Y OPERATIVO. 01 DE CENTRO EXPERIMENTAL DE LA UNSCH INSTALADO. 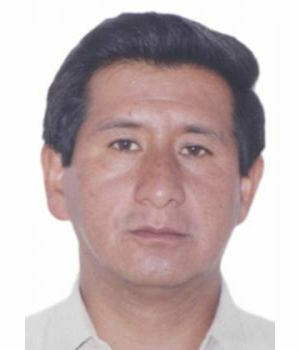 PROFESIONALES TÉCNICOS EGRESADOS. DEFICIENTE ARTICULACIÓN A LA RED NACIONAL Y AL CORREDOR ECONÓMICO GESTIONAR LA EJECUCIÓN DE PROYECTOS DE INFRAESTRUCTURA VIAL QUE INTEGRE TODO EL DISTRITO SUS COMUNIDADES CON LA REGIÓN Y EL PAÍS. MEJORAR LA INTERCONEXIÓN VIAL DE LAS COMUNIDADES DENTRO DEL DISTRITO EN UN 95% PARA INCREMENTAR LA CONTRIBUCIÓN DE PBI REGIONAL Y NACIONAL. DEFICIENTE MANEJO EN LA CONSERVACIÓN DE LOS RECURSOS NATURALES Y AMBIENTALES. PROMOVER LA CONSERVACIÓN Y EL MANEJO INTEGRAL DE LOS RECURSOS NATURALES Y AMBIENTALES. SE HA DESARROLLADO PROGRAMAS SOSTENIBLES RELACIONADO AL MANEJO DE RECURSOS NATURALES Y DE LA BIODIVERSIDAD LOGRANDO: EL 50% DE POBLACIÓN SENSIBILIZADA Y EL 45% DE ÁREA ATENDIDA. LA CONTAMINACIÓN DE LAS FUENTES DE AGUA, QUE GENERAN IMPACTO NEGATIVO SOBRE LA SALUD PRINCIPALMENTE DE LAS ACEQUIAS QUE TRANSCURREN POR EL DISTRITO VIENE GENERANDO CONFLICTOS Y UN DETERIORO DE LA SALUD DE LOS POBLADORES. DESARROLLAR UN PROGRAMA LOCAL PARA EL USO EFICIENTE DEL AGUA E IMPULSAR PROYECTOS DE TRATAMIENTO Y CLORIFICACIÓN DEL AGUA PARA CONSUMO HUMANO. SE HA SENSIBILIZADO AL 80% DE LA POBLACIÓN EN EL ADECUADO TRATAMIENTO DE AGUAS DE ACEQUIAS E IMPLEMENTADO UN PLAN DE INVERSIONES EN SANEAMIENTO BÁSICO. ESCASA FORESTACIÓN URBANA EN LA PROVINCIA DE VICTOR FAJARDO. PROMOVER BUENAS PRACTICAS AMBIENTALES SE HA PROMOVIDO ACCIONES DE FORESTACIÓN URBANA Y JARDINERÍA DOMICILIARIA LOGRANDO LA SENSIBILIZACIÓN DEL 80% DE LA POBLACIÓN. ALTA PERCEPCIÓN DE CORRUPCIÓN EN LA GESTIÓN MUNICIPAL. PROMOVER MAYOR ACCESO A LA INFORMACIÓN PÚBLICA MUNICIPALIDAD TRANSPARENTE Y CON MECANISMOS EFICIENTES DE RENDICIÓN DE CUENTAS Y ACCESO A LA INFORMACIÓN PÚBLICA.